I wasn't expecting to be back again today but I've just seen the deadline for Colour Me which is fast running out. Yesterday I made a card for a challenge and missed the deadline, and I didn't want to repeat that today. So you've got me twice. Fabulous take on all the challenges, Shirley! 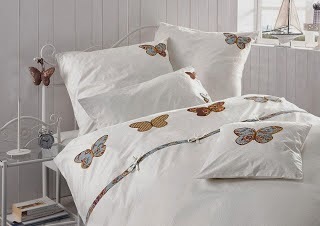 Love the stamping on the butterflies. What company makes them? 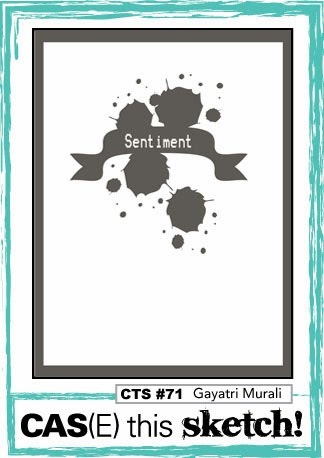 And the sentiment font rocks! Thanks for playing along with CAS(E) This Sketch this week! Gorgeous card, Shirley! Your butterflies are so pretty...especially with all the yummy orange! Love the boldness of the tag, too! You did an amazing job combining these challenges! That orange is delicious! Beautiful butterflies. 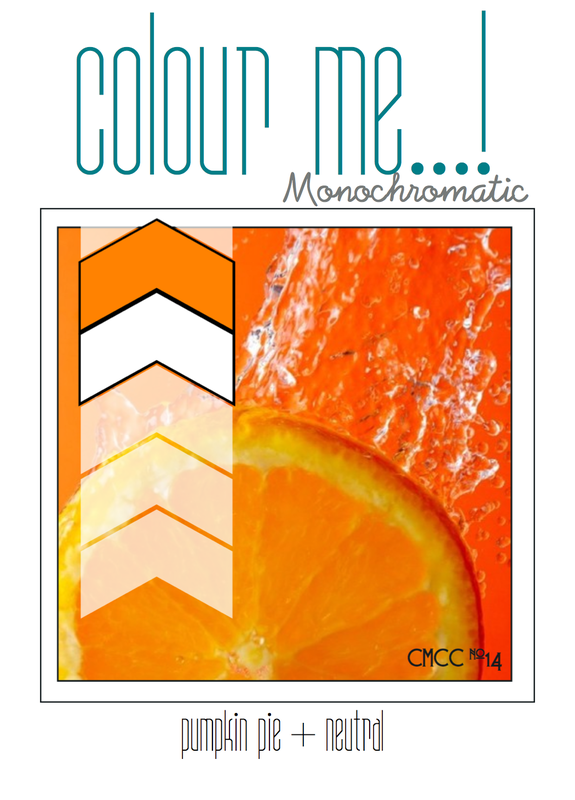 So glad you joined us this week at Colour Me...! with this amazing card, congrats on a much-deserved win! 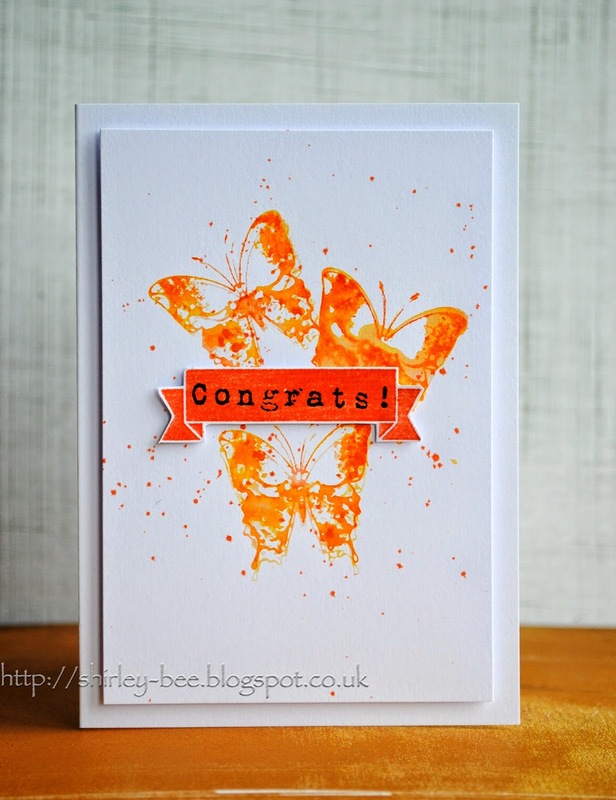 Congrats on this super vibrant zestful of color card! Well deserved and lovely!!!!! Gorgeous! Who would have thought orange could look so good! Fab card, love it. Well done on the win. Congrats on your win at color me! Great splatters! Those orange butterflies are oh so pretty! Yay for you! So deserving, this card just vibrates.